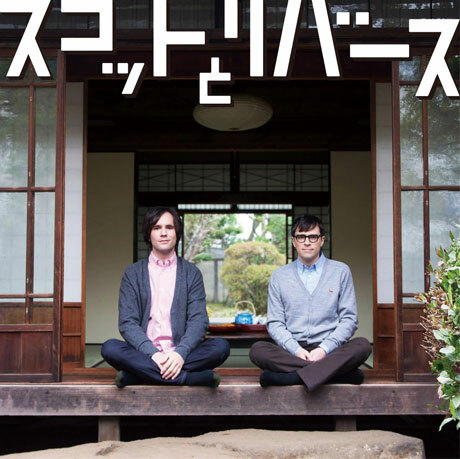 Anyone who has listened to Weezer's 1996 album Pinkerton knows that songwriter Rivers Cuomo is fascinated with Japan, and now he's taken this interest to the next level by releasing an album almost exclusively sung in Japanese. This album was created with Scott Murphy of the pop-punk band Allister and was released under the name Scott & Rivers. The self-titled album came in March through Universal Japan and is finally available now domestically on iTunes via Delicious Deli Records. Cuomo's collaboration with Murphy dates back to 2009. Prior to that, Murphy released a 2006 covers album called Guilty Pleasures that was half sung in Japanese. Cuomo, meanwhile, began learning the language after marrying a Japanese woman in 2006. He was considering making an album in Japanese, and approached Murphy for advice, leading to their collaboration in Los Angeles and Chicago. "I grew up listening to Weezer, so at first it was a little surreal to be working on a record with Rivers," Murphy said in a statement. "The album is kind of all over the board. There are some pop songs, Weezer-style rock songs, acoustic songs, even a few synth-heavy tracks. We were worried at first that it might not make a cohesive record, but after listening to the finished album I think we were both just really proud of the work as a whole. It'll definitely be hard for non-Japanese audiences to remember the lyrics to these songs, but the melodies are simple and catchy... If anything I think this record shows that the language of music is universal." A video for the bilignual power-pop single "Homely Girl" is embedded at the bottom of the page. The tracklist is below. Interestingly, the song "Butterfly" is entirely different from the Weezer tune of the same of the name. Interested parties can pick up Scott & Rivers on iTunes.